It is time for you to hold a spooky Halloween party to celebrate this holiday. The more people join in, the more interesting the party is. So you’d better come up with some good ideas to get the party details across. 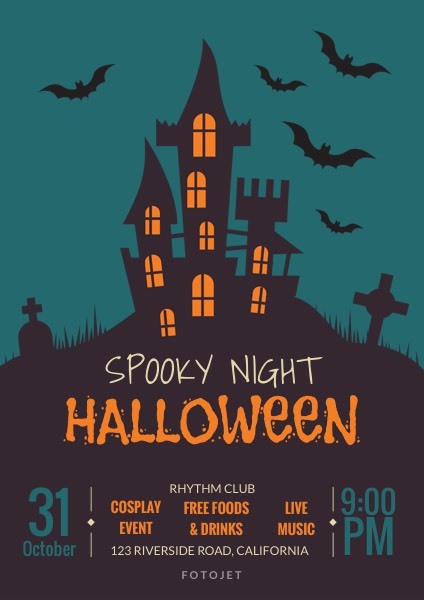 This Halloween party flyer template with scaring clipart images such as bats and the gloomy castle is a great fit for you to make Halloween themed designs. Just replace the default text with your own party details. Then handing out these Halloween party flyers to attract more people to participate in.